Chinese Herbal Medicine has also been used for at least two thousand years in China. The herbal formulae treat more than a set of symptoms or a specific illness as they create balance and wellbeing based on a more holistic approach. 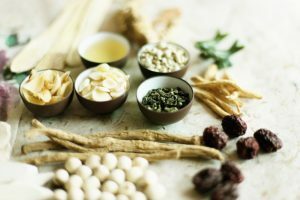 The formulae are prescribed to suit the individual needs of the patient using natural herbs, the effects of which have been monitored and researched over several hundred years in China. Herbs may be dispensed in tablet, powder or raw herb form. They are a very effective means of treating certain illnesses and may be used as a separate treatment or in conjunction with acupuncture.